Get today’s national news headlines in English, and prepare yourself for NDA, CDS, and AirForce. 1. The Bombay Natural History Society (BNHS), one of India’s premier avian research institutes, will start operating its regional center on the campus of Wetland Research and Training Centre near Chilika Lake from Monday. 2. 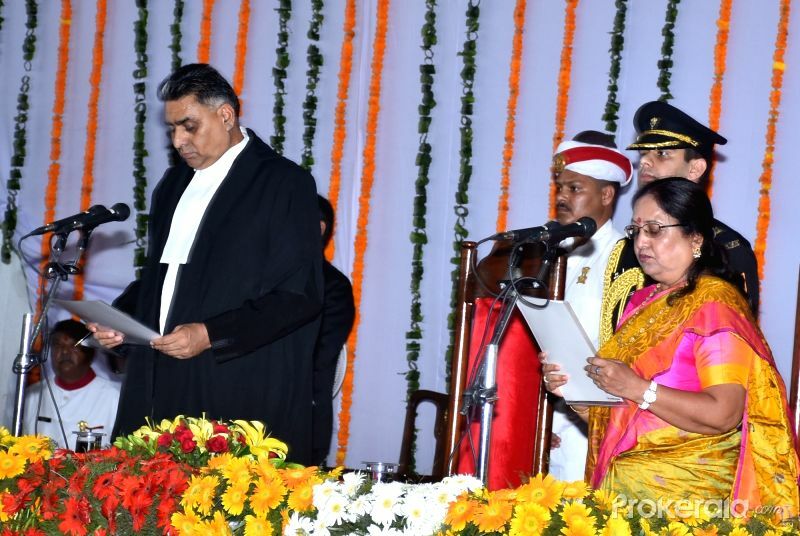 Baby Rani Maurya was on Sunday sworn in as the new Governor of Uttarakhand. 4. The DNA Technology (Use and Application) Bill, 2018, that allows law enforcement agencies to collect DNA samples and create “DNA profiles” and special data banks for forensic-criminal investigations. The Bill was introduced by the government in the Lok Sabha on August 9, the last day of the monsoon session. 5. 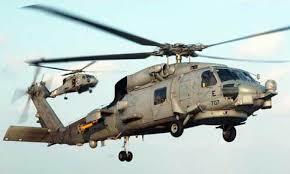 The Defence Ministry is shortly expected to release project-specific implementation guidelines for the 111 naval utility helicopters to be procured under the Strategic Partnership (SP) model. However, foreign companies say there is still some clarity required on crucial legal, liability and technology transfer issues. “There are two important issues that need clarity. One is legal. We can’t sell a submarine or fighter jet to a private company. Global regulations do not allow that. It has to be to a government-owned company. So, there has to be a government-to-government component in the end,” a top executive of a foreign company said. For the first time, under the SP model, Indian private companies will get to tie up with global original equipment manufacturers (OEMs) and build major defence platforms in India under technology transfer. So far, it was defence public sector undertakings (DPSUs) which played the lead role. Get today’s national news headlines only with The Tutors Academy. 6. The two Indian military helicopters, gifted to the Maldives, are likely to stay back along with a 48-member crew and support staff for at least the next few months as talks between the two countries on their continued deployment in the island nation were “positive”, diplomatic and military sources said on Sunday. The lease agreement of the two helicopters, given to Maldives in 2013, has expired and the island nation had conveyed to New Delhi that it would not like to retain them. 7. All coaches of the Indian Railways will now display the logo of the Swachh Bharat project and the national flag as part of the national transporter’s plans to celebrate the 150th birth anniversary of Mahatma Gandhi. The Railway Board has said that the ‘Swachhta Pakhwada’ from September 15-October 2, would mark the beginning of the Railways’ plans to commemorate Gandhiji’s birth anniversary. 8. Australian Foreign Minister Julie Bishop resigned from new Prime Minister Scott Morrison’s Cabinet on Sunday, two days after a bruising leadership battle that toppled former Prime Minister Malcolm Turnbull and led to a major ministerial shake-up. Ms. Bishop announced she would move to the backbench and had not yet decided whether to contest the next election, which is due by May 2019. That decision could have serious implications for Mr. Morrison’s government, which has a parliamentary majority of only one seat. 9. Emmerson Mnangagwa was officially sworn in as President of Zimbabwe on Sunday after winning a bitterly-contested election which was the country’s first since the ousting of strongman Robert Mugabe. 11. Reliance Naval and Engineering Ltd said Anil D. Ambani has resigned as director of the company. Mr. Ambani has resigned in compliance with provisions of Section 165 of the Companies Act, 2013, prescribing the limit on directorships to only 10 public companies, the firm said in a regulatory filing. 12. What is share buyback? A buyback is a mechanism through which a listed company buys back shares from the market. A buyback can be done either through open market purchases or through the tender offer route. Under the open market mechanism, the company buys back the shares from the secondary market while under tender offer, shareholders can tender their shares during the buyback offer. Historically, most companies had preferred the open market route. Why does a firm go in for a buyback? Buybacks are typically done when a company has a significant cash reserve and feels that the shares are not fairly valued at the current market price. Since the shares that are bought back are extinguished, the stake of the remaining shareholders rise. Promoters also use this mechanism to tighten their grip on the firm. Get latest today’s national news headlines in English, To prepare yourself for NDA, CDS, and Navy. 13. India had three silvers on Sunday, with the men’s and women’s 400m runners Muhammed Anas and Hima Das finishing second and the latter becoming the first Indian woman to break the 51-second barrier. Today’s national news headlines in English, Get daily news updates and current affairs with The Tutors Academy. Equestrian: Eventing Individual: 2. Fouaad Mirza (Silver); Eventing Team: 2. Rakesh Kumar, Ashish Malik, Jitender Singh, Fouaad Mirza (Silver). 16. India won two bronze medals from the debut sport of bridge in the Asian Games after the men’s and mixed teams lost their semifinal matches on Sunday. The men’s team lost to Singapore while the mixed team suffered defeat at the hands of Thailand. There is no bronze medal play-off in bridge. Hima Das, silver, women’s 400m. Muhammed Anas, silver, men’s 400m. Dutee Chand, silver, women’s 100m. Men’s team and mixed team bridge, bronze. India, silver, equestrian, team eventing. 18. Former Bengal cricket captain Gopal Bose died following a cardiac arrest at a Birmingham hospital in the UK on Sunday. 19. Apurba Saha clocked 10h 48m 46s to win the 81km race in the 75th National open water swimming competition on the Bhagirathi river here on Sunday. Saha beat two-time defending champion Spaniard Jose Luis Larrosa, who came second in 11:02:57, in the meet which is claimed to be the longest open water swimming event in the world. Biswanath Adhikary came third for the fourth straight year. The results (Indians unless specified): 81km: 1. Apurba Saha (10:48:46); 2. Jose Luis Larrosa (ESp) 11:02:57l 3. Biswanath Adhikary (11:05:41). 20. Prolific U.S. playwright Neil Simon, who won more combined Oscar and Tony nominations than any other writer, died on Sunday aged 91. A legend of American theatre, he was responsible for such works as The Odd Couple, The Sunshine Boys, Barefoot in the Park and Lost in Yonkers. Meaning 1 – Gush out in a sudden and forceful stream. Meaning 1.1 – Cause to gush out suddenly. Meaning 2 – Move with a sudden burst of speed. Prepare yourself for all competitive exams, and get today’s national news headlines, current affairs and latest updates with The Tutors Academy.